It’s been a busy few games for the Boston Bruins as they clinched a Playoff berth, Captain Zdeno Chara scored his 200th career NHL goal. and Patrice Bergeron set a new career high when he tallied his 75th point of the season during their 5-4 loss against Tampa Bay. Despite the recent loss where the Bruins blew a 2 goal lead, the boys will be looking to get back into gear as they fight for home ice advantage in the first round of the Playoffs. 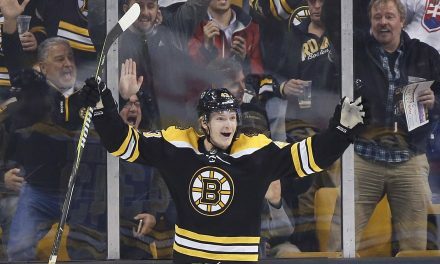 It was announced that Torey Krug and Marcus Johansson will be returning tonight as the Boston Bruins face the New York Rangers on home ice. 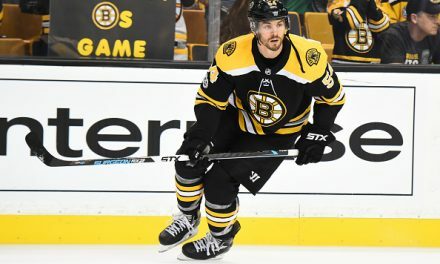 Matt Grzelcyk and Kevan Miller are “probable for the weekend.” Defenseman John Moore is week-to-week with an upper body injury. Moore left the Tampa Bay game and was seen wearing an arm sling. Expect Jaroslav Halak (20-10-4) in net tonight. He comes into tonight’s game with a 2.31 goals against average, and a .924 save percentage. The Bruins are 10-5 in their last 15 games. 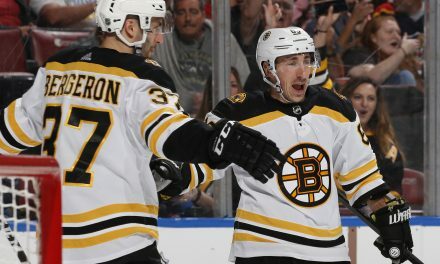 Brad Marchand still leads the team with 94 points, and in goals (34). He also leads the team in assists with 60 (so far). David Pastrnak is now second to Marchand in goals with 33. The top BMP line have netted over 30 goals each. The team is now five points ahead of Toronto with a 46-21-9 record. The Rangers are coming off a 5-2 loss against the Pittsburgh Penguins and will be looking to complete their sweep of the Bruins. Boston has not lost on home ice since January 31st and if they beat the Rangers tonight, it would be their 12th straight victory at home. Ranger’s Mika Zibanejad has 10 points in is last 12 games versus the B’s. The blueshirts are 9-1 in their last 10 games against the Bruins. 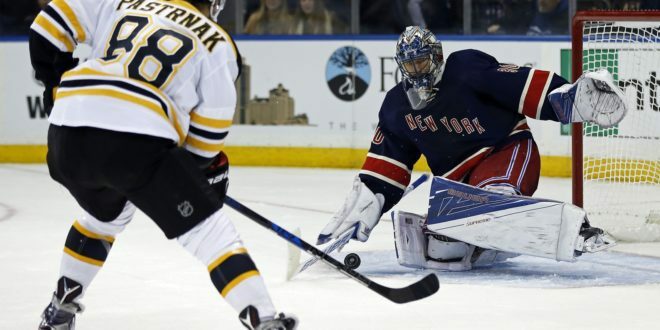 Expect Henrik Lundqvist in net, who has won all three games (so far) this season when facing Boston. He has an 18-20-10 record wit a 2.99 goals against average with a .909 save percentage. 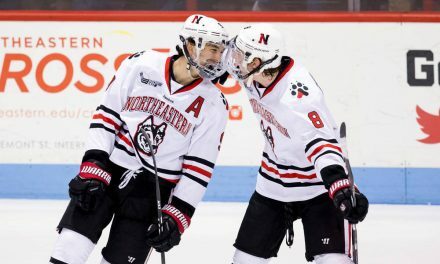 Zibanejad leads the team in points (68), goals (28) and in assists (40). 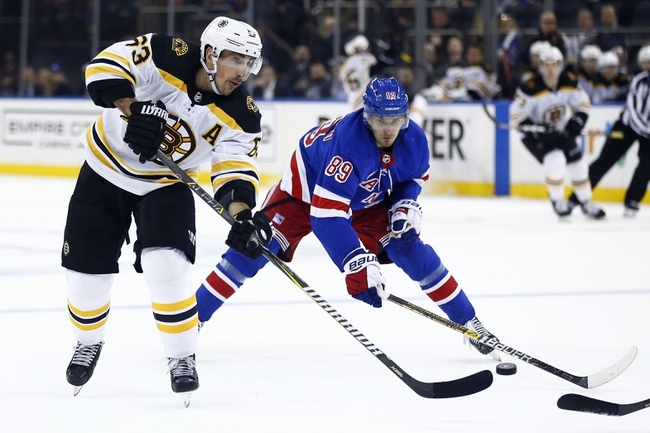 Chris Kreider is not too far off with 26 goals and 49 assists . Both Kreider and Marc Staal are considered day-to day as they recover from lower-body injuries. The Rangers are currently out of the Playoff picture as they are seventh in the Metro Division with a 29-33-13 record.